Click Here to View Our Services Portfolio! ProSound Audio/Visual is an all-encompassing A/V provider with years of combined experience! Our professional staff is with you every step of the way to ensure that your next event is a success! Do you need a simple audio system? Covered. How about a projection-mapped video rig? Covered. What about an intelligent lighting system? Covered. ProSound Audio/Visual: Your A/V Needs. Covered. Mobile DJ events include small parties, weddings, birthdays, quincineras, and more! These events are handled by the ProSound Entertainment Staff. To learn more, visit Our Mobile DJ page! ProSound staff are highly trained to respond even in the most demanding situations. Rest assured, you will always have highly skilled staff behind the controls that will ensure that your next event is a huge success! ProSound A/V only employs the best equipment so that you aren't left in the dark at your event! From simple stage spotlights to highly advanced intelligent lighting rigs, we will be with you every step of the way to ensure your event is a success! Ready to Book? Request a Free Quote Here! 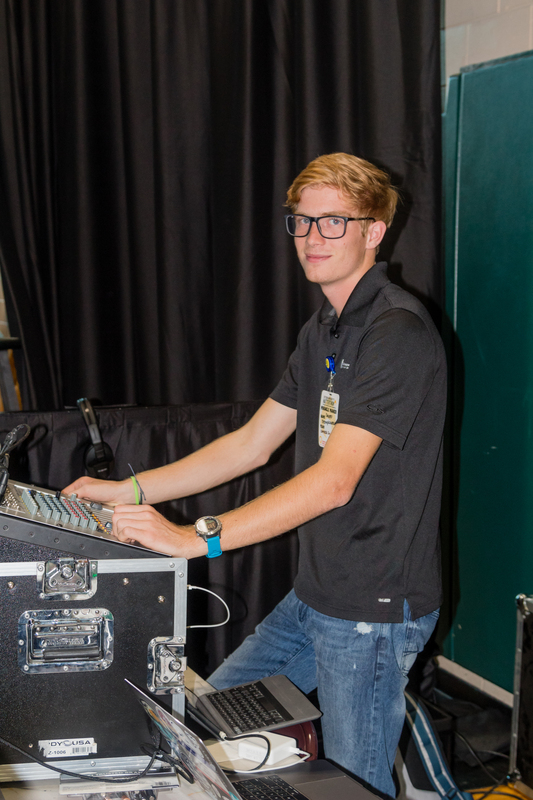 Founder of ProSound A/V, Chipper works directly with our Executive Staff to ensure that they are top of the line in customer service, knowledge, and experience. An Eagle Scout, Chipper always puts fourth his best effort so your next event will be the talk of the town for months to come!